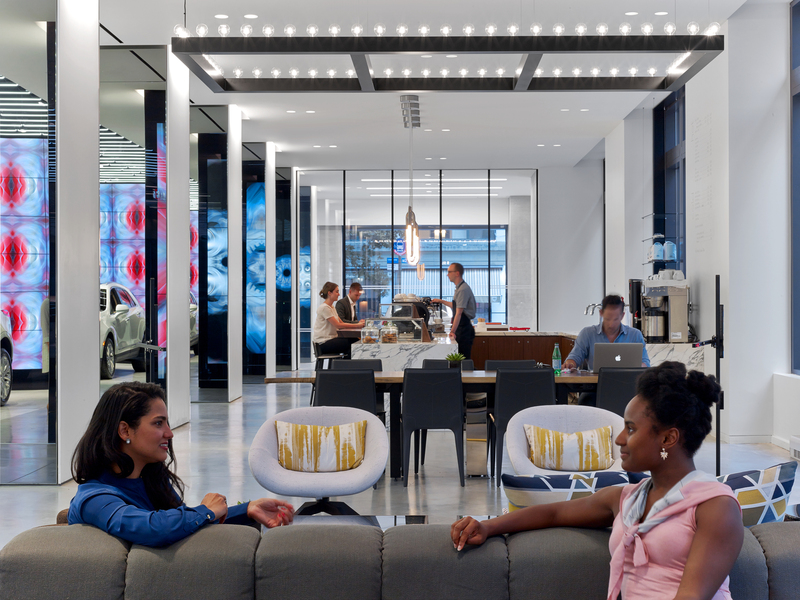 Photo by Garrett Rowland, courtesy of Gensler. 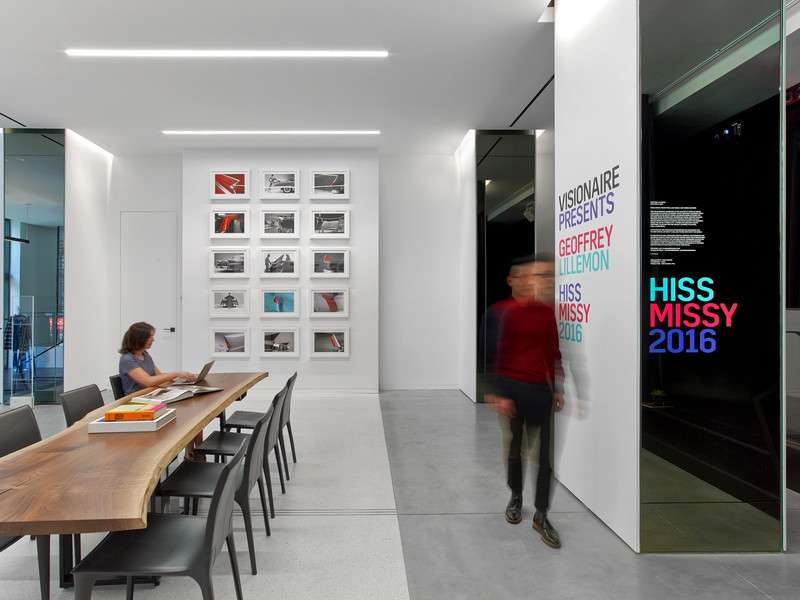 Photo by Eric Laignel, courtesy of Gensler. 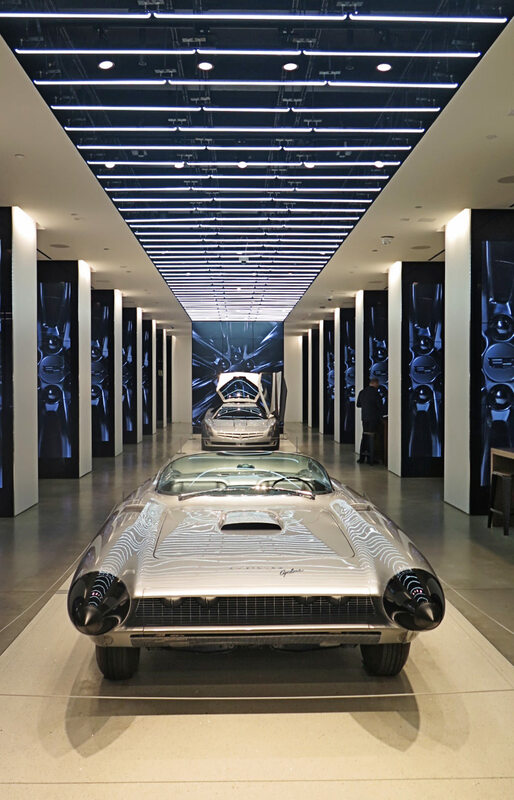 When General Motors agreed to move Cadillac’s world headquarters from Detroit to New York in 2014, Johan de Nysschen, president of Cadillac, knew it was time to think about the brand in a different way. For decades, Cadillac has struggled to shake off its image as the iconic American automaker that has fallen out of touch with trendsetters. 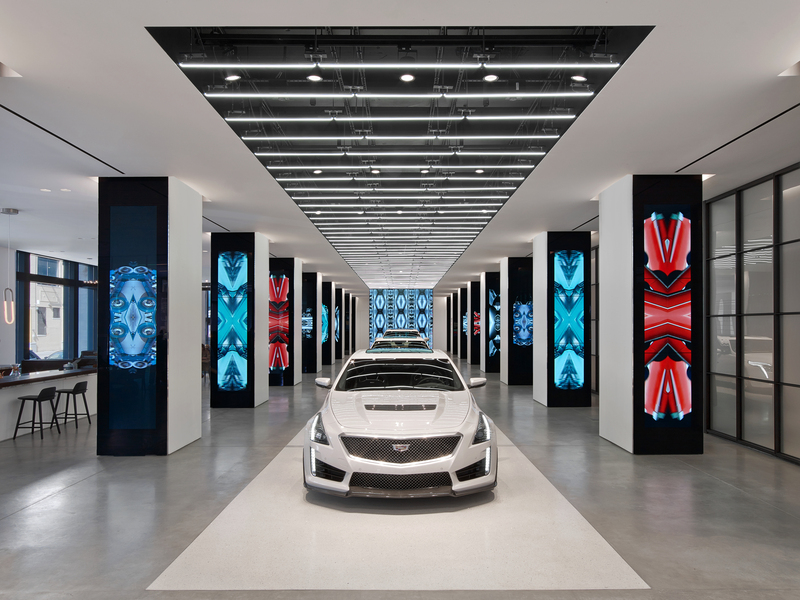 Enter Cadillac House, an experiential space designed to inject the brand into the hipness fabric of Manhattan, that opened last year. 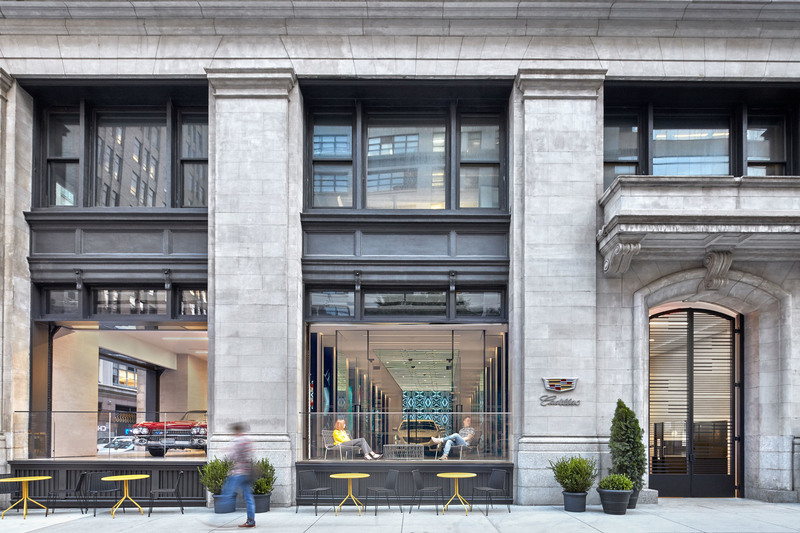 Part coffee bar, part pop-up retail space, part art gallery, and part automobile showroom, Cadillac House is a place to socialize—not a place to sell cars. The goal? To actively engage with New York’s cultural scene and (of course) attract new customers to the brand. 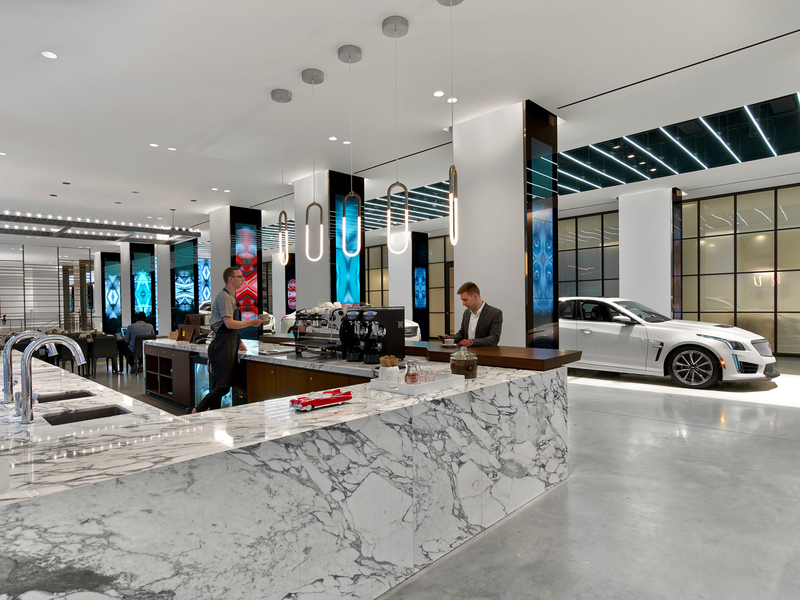 Drawing in new buyers is one reason Cadillac House is not a dealership. In fact, very few of its vehicles are on display, and they aren’t necessarily the latest models. During this year’s New York International Auto Show, for example, passersby encountered the 1959 Cyclone concept car (pictured). Visionaire, the creative firm, is curating an interactive exhibit at Cadillac House each season (the just-wrapped Toilet Paper Paradise invited audiences to touch, play, sit, and position themselves in the visual antics of artist Maurizio Cattelan and photographer Pierpaolo Ferrari’s psychedelic reimagined domestic settings—totally Instagram-ready); Tanya Taylor, the Toronto native, has opened her retail lab (predecessor Public School was selling its clothing from the trunk of a Cadillac); and Joe Coffee is providing the beans for the café. “We don’t want things to happen to us. 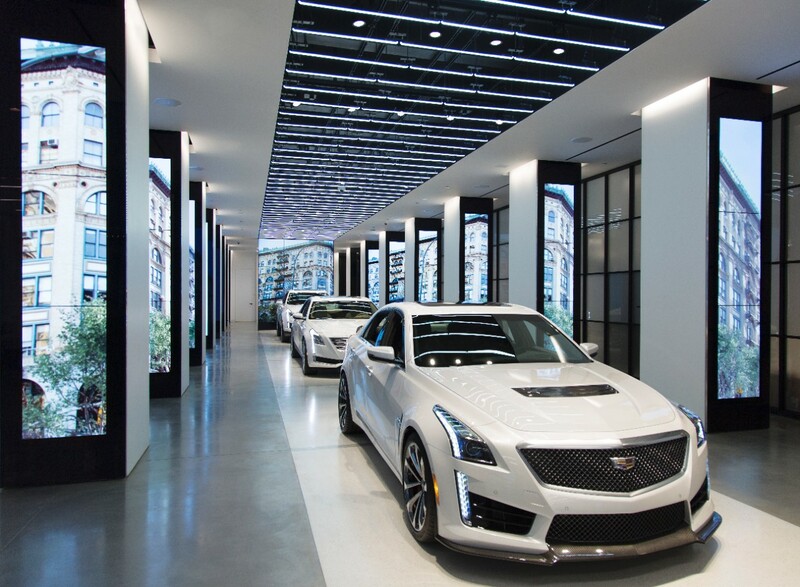 We want to be that change,” says Melody Lee, director of brand marketing for Cadillac. 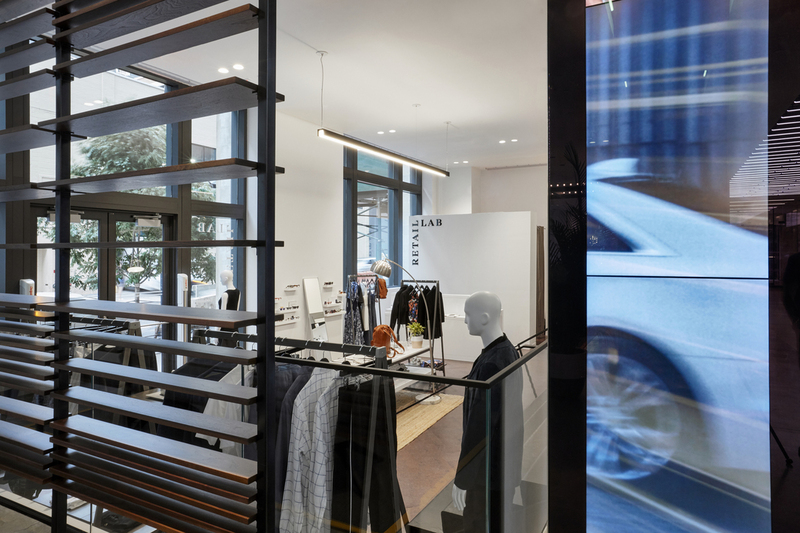 As General Motors tracks the reaction to its first Cadillac House, it’s planning more locations around the world—Shanghai is rumoured to be next.